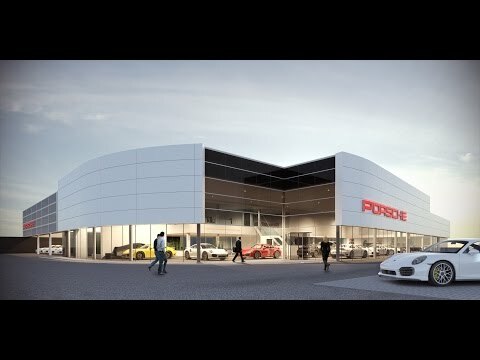 Showcasing some of the greatest sports cars in the world is the brand new, custom built, 24,000 square foot Porsche Centre situated on Wellington Road, Aberdeen. Inside the Centre you will find 25 stunning Porsche models, along with a selection of Peter Vardy’s personal collection of classics, including a 1966 911S and 1957 356A. The Centre offers guests a real state-of-the art experience where you are able to fully customise your new Porsche while relaxing in the stylish customer lounge, complete with full internet access, privacy booths and a bespoke customer bar area with La Spaziale Barista coffee machine. Bring your Porsche to the Centre for its regular service or MOT and make the most of the unique Direct Dialogue Bays which allow you to watch your Porsche being individually cared for by the Porsche trained technicians, while the cutting-edge workshop boasts 100% more capacity. Thinking of every eventuality, Peter Vardy has made sure you and your family are catered for, with a children only area – sorry dads, where your kids can enjoy a custom built driving simulator of the iconic Porsche 911 with PS4 driving games and removable tyre challenge. This is a destination dealership offering a unique experience, not only will you enjoy some of most beautiful cars in the world, but experience one of the finest retail spaces and a customer service second to none. The £6 million project has brought additional jobs to the area, both short and long term, with additional sales, aftersales and support staff to manage the prestige dealership. This is one of four major build projects the Vardy business has brought to the Aberdeen area, including a brand new Jaguar Land Rover dealership due in late 2016, and the recently completed Vauxhall showroom on Lang Stracht, situated next to the newly built factory and showroom for the social enterprise business GlenCraft. Over the next 18 months, Peter Vardy Limited will have invested over £30million in build projects and new dealerships, creating more than 150 long term jobs and over 500 short term jobs. The business is the fastest growing motor retail group in Scotland employing over 765 people, its continued expansion promises to be at the forefront of Scotland’s economic growth.